A good vocabulary will help you go far in life. Some people acquire vocabulary easily and innately, for others it comes more slowly. Our vocabulary games can help even the most reluctant learner have fun while they expand their vocabulary. There are plenty of ways to help children build a good vocabulary. Word acquisition can be challenging for some children. The reasons are varied, for the kids that are on the autism spectrum, it is common for them to have difficulty picking up new vocabulary through context. For kids with dyslexia, it is difficult to remember new words unless they can picture it. For kids who are learning English as a second language, they have little exposure to new vocabulary words. Whatever the reason, we have come up with some vocabulary games for elementary students because we like to play while they learn. Predictably, learning vocabulary is usually not one of my student’s favorite activities. 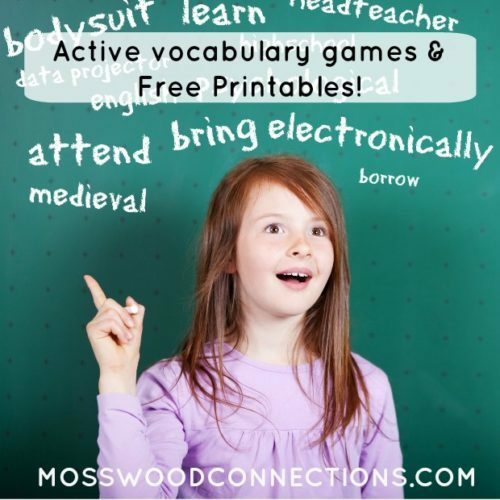 We like to make learning as enjoyable as possible so we use Vocabulary Games for Elementary Students. The activities work well one-on-one, in a classroom or with homeschoolers. TRUE OR UNTRUE VOCABULARY GAME? Give the kids a word along with a definition. Tell the kids that they have a choice: they can give the correct definition or they can make up their own definition of the word. If they fool the other kids, they get a point. Whoever guesses correctly gets a point. We just printed out a list and cut out the words with their definitions to hand out to the kids. Vocabulary words and definitions for second grade. Vocabulary words and definitions for third grade. Vocabulary words and definitions for fourth grade. Vocabulary words and definitions for fifth grade. In this version of vocabulary bingo, the kids match the definitions with the word. The first person to get four in a row wins. Download our printable Vocabulary Bingo Game for Third Graders to play. This game combines movement with learning. First, decide whether you are going to focus on antonyms or synonyms. Talk about what an antonym or a synonym is, making sure the kids understand the concept before beginning. Choose a place for a START line and a FINISH line. Have the kids line up at the start. The person who is “it” stands at the finish line and says a word. The first player who gives a correct antonym or synonym takes one step forward. The first player who reaches “it” wins. We found a good resource with a list of antonyms and synonyms at Free Language Stuff. 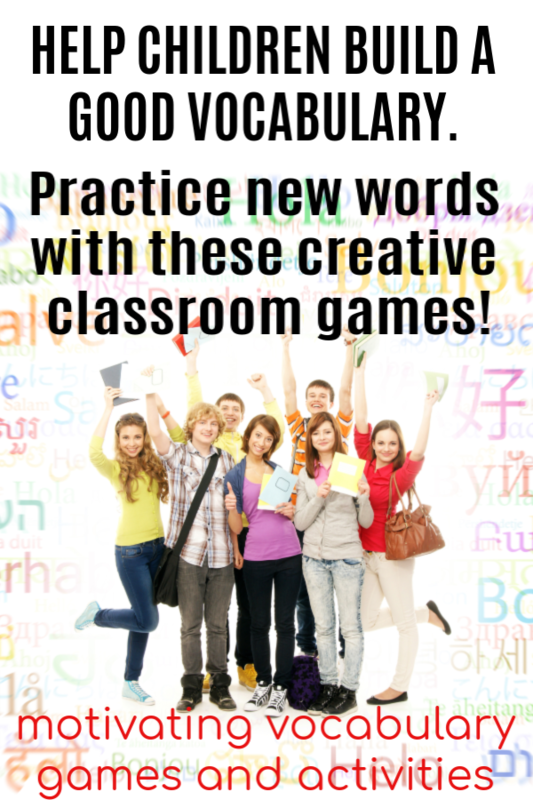 Make Vocabulary Rocks and play some of the games that we came up with.